Francesco Rizzato reviews the Light Blaster Pro Gobo and Backdrop kit for creative effects. Is it any good? A Light Blaster is a flash fresnel that lets you project images and patterns, using either slide films or gobos. You can read a review of the Light Blaster here. This light modifier has been on the market for several years and was originally meant to be used with speedlites. Since around one year, it is possible to use it also with strobes, thanks to the introduction of a universal studio adapter, which has been reviewed previously on LightingRumours. I played around with the Light Blaster quite a lot recently and the guys at enjoyyourcamera.com where kind enough to send me two creative kits to test out: the Pro Gobo kit and the Backdrops kit. These are simply collections of gobos and slide films that are optimized for the Light Blaster. This is the most expensive Light Blaster kit, with a price of US$68, but is also the one that I enjoyed the most. 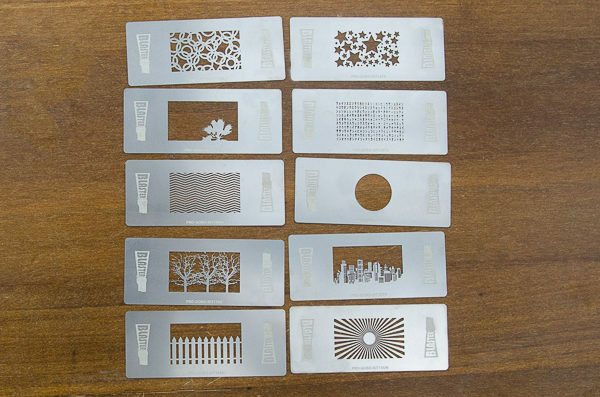 It includes ten metallic gobos-masks that can be used to project light patterns onto your subject (or onto your background). The build quality is very good and all edges are very sharp, which translates into sharp light patterns (of course you can also make them less sharp by defocusing the lens attached to the Light Blaster). Being metallic, the gobos are heat- and wear-resistant. Since I love experimenting with shadows in my photos, I immediately loved the Gobo kit. Indeed I have been using it a lot and got some really interesting results with it; still, I feel there are so many more creative ways of using this kit that I haven’t even experienced yet! And this with just ten patterns! The only real disadvantage I can think of is that the gobos block a lot of your light and hence you need quite a lot of flash power, especially if you are not shooting at wide apertures. Of course there are a lot of variables to be considered here (what gobo is used, is the Light Blaster used as key or fill, what is the maximum aperture of the lens attached to it, is the projection falling on the subject or on the background, distance between subject and background, position of the flash…) but, in my experience, I often wished for even more than 600Ws from the strobe I was using with the gobos (in combination with a F/1.4 lens)! Also, I am a bit annoyed by the choice of the gobo’s patterns. Granted, this has got a lot to do with taste but 10 patterns are not many and for example I never really felt the need to project starts or a tree… On the other hand I was really surprised that patterns such as shutters or triangles were not included; these in my opinion would be much more useful! Unfortunately this is the only gobo kit available from Light Blaster and there do not seem to be any compatible ones on the market (if you find any, let me know! ); some DIY solutions may also be possible here and you could also simply try sticking black tape on the gobos in order to modify the projections. Nevertheless, as said, the ten patterns included in this kit already give a lot of creative possibilities (yes, the tree and the stars as well)! 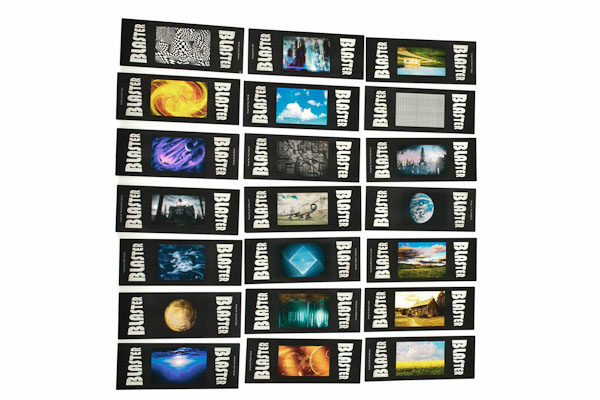 This kit includes 21 slide films and sells for US$17. It may sound like great value for your money, especially when compared to the Gobo kit, and, depending on what you like to shoot, it may also be! The slides are just small and thin plastic films featuring (mostly colorful) patterns. They for sure feel much cheaper than the gobos but that’s just how slide films are supposed to be. The big advantage here, compared to the Gobo kit, is that the transparent slides do not block as much light. Although I have used the Backdrops kit only with a strobe, for most applications also a speedlite should provide enough power. Also, 21 designs give you a lot of choice! The obvious disadvantage compared to the Gobo kit is that the film slides are not that resistant. They can get damaged (or lost) easily and they are also not as heat resistant as metal, although I used them with a 600Ws strobe and did not cause any damage (by the way, Light Blaster recommends against using continuous light). Also, the projections are not that sharp, although the featured backdrops are not really supposed to be sharp. And exactly these backdrops are the reason why I did not use this kit much… In fact most of them do not really fit my style, as in my opinion they are more suitable for “fantasy” shootings. Here you have for instance a lot of images showing planets, galaxies and surreal scenes. You also have a couple with more defined patterns, but here you are missing the sharp edges that a gobo gives you. For sure DIY is an option here (and any slide film will work) but the Light Blaster transparency kits are rather cheap, so I would recommend that you look into them (there are in total four) and think about which slides you would use the most and about the creative options you would get with them. A Light Blaster alone does not bring anything and, if you own one, you have to for sure look into getting some films or gobos to use with it. DYI is for sure an option here (at least for the films) and any slide films you may find will also work, but there are also some creative kits available directly from the manufacturer. These work well and can really fuel your creativity, especially if you pick the ones that best match your style, although I am pretty sure that you can find a good use for any slide and any gobo! In my case, I really enjoyed the Pro Gobo kit, although it is the most expensive one and also the one that requires the most flash power; in fact this kit is all about playing with light and shadows and that’s exactly how I love to shoot. I did not like as much the Backdrops kit, as this one has got more of a “fantasy” look, which is not really what I like to shoot, but I did find some good uses also for it. There are in total five creative kits available from Light Blaster. For sure they are not something that you will use every day but there is hardly anything like that out there and I am sure I will keep experimenting with them also in the future! There is no limit to your creativity! Lit with a gobo. 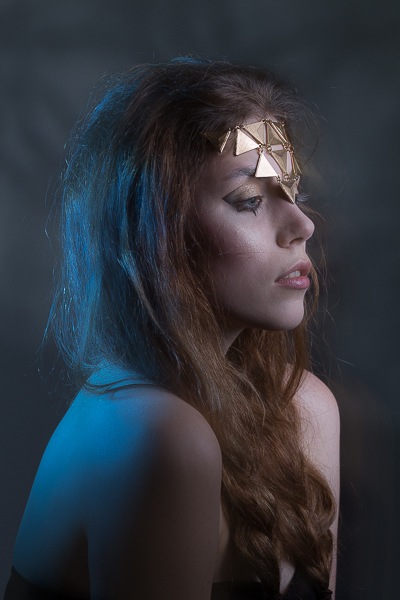 I am a people and fashion photographer based in Munich, Germany. You can find more information about me or contact me through my Website.